Severe cases of hearing loss require profound intervention, such as using hearing aids. While it does not bring back the full hearing of a person, it modulates soft sounds. Hearing aids are a great help for people with severe hearing loss problems as they help in recognizing sounds so the person can at least try to normalize their day to day lives. Finding the best hearing aids is equally important for the quality of support they can provide to their users. There are a lot of hearing aid products available in the market varying in size, shape, price, and quality. Since they are not created equal, finding the most fitting ones for your needs may be challenging. So, how do you choose the best hearing aid for severe cases? Here are some tips. If you are really clueless on what to buy, the best course of action is to have your ears checked and then get a referral from a certified and trusted audiologist. He or she will be able to tell you what type of hearing aid is best for you. These professionals may even recommend the best possible brand that will provide you with the best quality support. Styles of hearing aids vary a lot in their shape and how they are worn. Finding the one that offers more comfort for the one who will use it is of vital importance. The different styles are also designed for various levels of hearing loss. For severe hearing loss cases, the In-the-Ear (ITE) is the most recommended. It comes in two different styles: one is placed to fill the bowl shaped area of the outer ear, while the one other one is placed on the other half. Behind-the-Ear (BTE) may also be used as it is recommended for different levels of hearing loss problems. 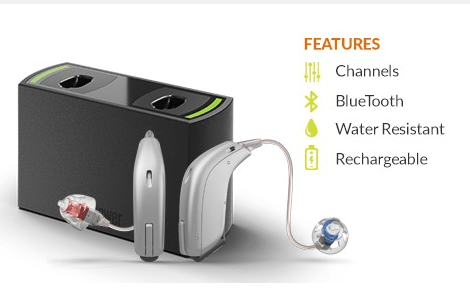 Some hearing aids have features that make them easy to use. Some of the common features in hearing aids include noise reduction capacity, directional microphones, rechargeable batteries, telecoils, wireless connectivity, and even remote controls. There are also some with direct audio input capacity, variable programming, environmental noise control and synchronization feature. Find the one with features that you need most. Many hearing aids have a trial period to test how it works for you. When asking for a trial period, ask for how long and how much refund you get when you decide to return your purchase. Check the warranty of the hearing aid you purchase, in case it gets damaged. Those with longer warranties show that they are confident with their product. Consider also your future needs like when hearing loss becomes worse. Check if your hearing aid can be upgraded for increased power. With the right hearing aid, the patient will feel more comfortable and at ease. As well, it defines the quality of life they can gain using it. So make sure to be smart on your purchase to get the most out of your investment.